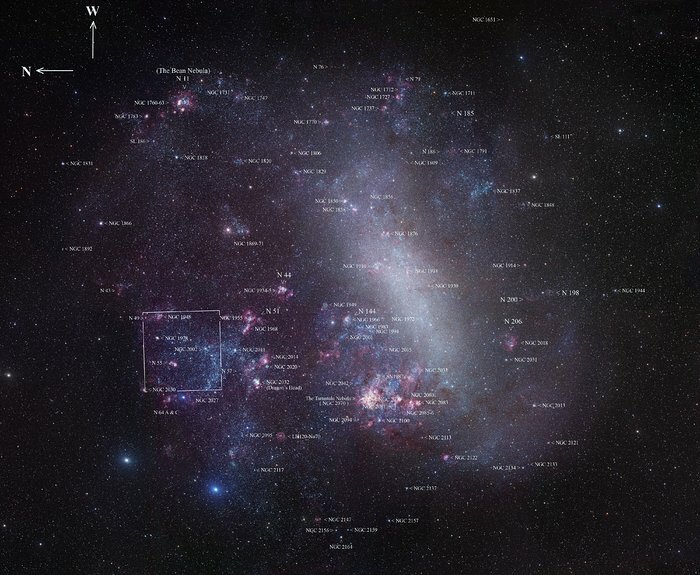 This image shows the entire Large Magellanic Cloud, with some of the brightest objects marked. The field of the new MPG/ESO 2.2-metre telescope image is indicated with an outline. The field of view is about ten degrees across.